I do not write this article as an "in your face" attack on Protestantism seeking to show Catholic "superiority." Rather, in light of anti-Catholic attacks which accuse us of rejecting the Bible, I wish to give an apologia as to why Catholics cannot accept the concept of Sola Scriptura as anything more than a human invention. The focus of this article is on the contradictory nature of the claim. I don't pretend to be making a new discovery here. Others have written on the subject with far more insight and clarity than I. I do hope that the reader will not take offense in my choice of words. I do not intend to be uncharitable here, but we all have our blind spots and not realize that a choice of phrasing which may seem harmless may unintentionally offend. If any find such comments here hurtful, I offer my apologies in advance for my blind spots. I recognize non-Catholics coming to this site will doubtlessly disagree with me. However, comments which are uncivil will not be approved for posting (it's a nice feature totally lacking from my days on Xanga). Polite comments disagreeing with me are welcome. Vitriol is not. One thing which can cause acrimony between Catholics and Protestants is the issue of authority. To certain Protestants, the Catholic Church is viewed as having made claims of herself without cause. Such Protestants point to the Bible and say that because the Catholic teaching goes against the “Plain Sense” of Scripture, it “proves” the Catholic Church is wrong. This is ultimately the Catholic objection to Protestant challenges — not the authority of the Bible, but the authority of one to interpret it in a way binding on us. After all, a person who is claiming to know Scripture better than Catholics is claiming to be an authority in interpreting it, and we want to know the grounds of such a claim. If we recognize that any Bible quoting between Catholic and Protestant is going to be nothing more than “quote slinging,” without a mutually recognized authority who can arbitrate between conflicting interpretations, we can look at the issue of authority behind any invoking of the Bible alone. The authority of the claim “The Bible alone” itself. The assumption that there is a “plain sense” apparent to all. This article will look at the first of these issues and why the Catholic does not accept the concept of Sola Scriptura on grounds of authority. Before we begin, I think we do need to distinguish between holding the doctrine of Sola Scriptura strictly and believing in Scripture as authoritative. They are two different things, but sometimes people think the rejection of Sola Scriptura is the rejection of Scripture. This would be false. Catholics accept Scripture as Divine Revelation. What we do not accept in Sola Scriptura is the Sola (alone). We do not believe God ever intended that Scripture alone is the rule of faith and do not believe the Bible teaches thus. So do not accuse us of denying the authority of Scripture just because we deny Sola Scriptura. However, this does lead us to a question which Catholic Apologists ask and I understand many Protestants hate. Why Do Catholics Always Ask That? I know this question tends to annoy the person who believes in Sola Scriptura. It feels like a cheap trick to some. Others seem to think it is a Straw Man argument to misrepresent what Sola Scriptura really means. However this isn’t the case. Perhaps the question could be asked in a more delicate way. When it comes down to it though, the question reflects the problem Catholics have with the authority of the claim. If the Bible alone is authoritative, Catholics want to know the basis of such a belief. Let’s start with the basic premise of this belief: Sola Scriptura holds the Bible is the sole binding rule of faith (remembering that different people may hold to different degrees of this). Other works may be useful, but are never necessary and certainly not binding (See Article 6 on the Deuterocanonical works). Often Sola Scriptura is used to deny the authority of Tradition or a Church — especially in disagreeing with Catholic beliefs. If Church teaching does not meet the personal reading of the Bible, the Bible is set in opposition to the Church. Since the Bible is accepted as inspired, the believer in Sola Scriptura reasons the Church must err. There are many problems with such reasoning. For openers, it ignores the question of how do we know the person appealing to the Bible does not err in their interpretation. (We will discuss this next time — but I want to make the issue known now). The second problem is a dilemma: The appeal to Scripture alone cuts both ways if we are going to be logically consistent (and avoid the accusation of Christians being illogical). People who appeal to Sola Scriptura to reject things outside of Scripture as authoritative have to accept that this rejection means that only that which is within Scripture can be used to justify their belief. Therefore either Sola Scriptura is explicitly in Scripture or it is to be rejected. If Sola Scriptura is to be accepted, we have to decide whether the proof for it is within the Bible or outside of the Bible. Why? If the source of Sola Scriptura is outside the Bible, then an appeal to Scripture alone is a self-contradiction. It is only if the Bible itself teaches Sola Scriptura plainly and without dispute that one can say Sola Scriptura is a “Biblical” teaching. So what are the possible answers to the question on where the proof is for Sola Scriptura? There are three which can be considered: It can depend on interpretation, depend on an authoritative teacher or is so plainly and indisputably in the Bible that nobody can deny it. So let’s look at these possible answers. 1. If the proof for Sola Scriptura is within the Bible, but depends on a certain interpretation of verses to be held by all believers in order to see it, then it is dependent on Sacred Tradition, and therefore Sola Scriptura cannot be true. 2. If this proof is not within the Bible, then Sola Scriptura requires reference to some teacher outside of Scripture which has the authority to interpret Scripture definitively (A Magisterium), and therefore cannot be true. 3. If the proof for Sola Scriptura is clearly within the Bible, as some claim, it needs to be plainly apparent to all. Otherwise it isn’t clearly within the Bible, which would make it depending on Sacred Tradition or a Magisterium to draw out that meaning and therefore the concept contradicts itself (See 1 and 2). Since Sola Scriptura is an appeal to Scripture as the sole rule of faith, denying the authority of Sacred Tradition and Magisterium, then it follows that to be valid; Sola Scriptura must be plainly taught in Scripture or else it depends on something outside of Scripture and is therefore self-contradictory. After all, considering that one of the reasons for rejecting Catholic teachings is that (it is alleged) some of their teachings are not plainly taught in Scripture; it would certainly be ironic for the concept of Sola Scriptura not to be taught plainly. Quite frankly, if someone demands of us that we prove our beliefs by Scripture alone, we have the right to demand the same of them when it comes to Sola Scriptura. As I said above, the rejection of Sola Scriptura doesn’t mean we deny the authority of Scripture. I pointed out in my last article that Catholics accept the authority of Scripture as being given us by God and being free from error. 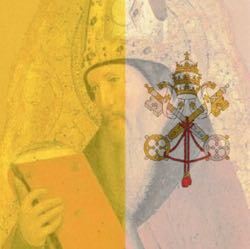 We merely deny the authority of men to tell us, without proof of their authority, that the doctrine of Sola Scriptura is binding and therefore our Church is in error. This is the purpose of this question "Where does the Bible teach Sola Scriptura?" If we are condemned for our beliefs, Catholics have a right to insist the authority under which this accusation is made is clearly demonstrated. The individual reading the Bible on his own or her own does not have any such authority. So let us move on to the Scriptures most commonly cited to defend Sola Scriptura and to attack the Catholic Church. While I can’t point out every possible verse someone might want to throw at me (the concept of personal interpretation makes it impossible to anticipate how someone or some denomination might interpret any given Bible verse), there are a certain set of Scriptures which are commonly used to claim that the Bible alone is authoritative and that Sacred Tradition does not exist. We can divide them into two groups. Catholics do not deny these verses. Nor do we ignore them. Instead, we deny that they are used properly when used to attack the Catholic faith. The problem Catholics have with the first set of verses is, while they speak highly of the use of Scripture, they do not in any instance hold that only Scripture is authoritative or inspired. ﻿17﻿ “Do not think that I have come to abolish the law or the prophets. I have come not to abolish but to fulfill. ﻿18﻿ Amen, I say to you, until heaven and earth pass away, not the smallest letter or the smallest part of a letter will pass from the law, until all things have taken place. ﻿The common argument is that Scripture is inviolate and these verses prove it. Catholics do agree that Scripture is inviolate. The problem is we have never denied this and we would reject the accusation that the Catholic teaching does deny it. The problem is, these verses don't say anything to justify Scripture alone as being authoritative. ﻿31﻿ But these are written that you may (come to) believe that Jesus is the Messiah, the Son of God, and that through this belief you may have life in his name. The citation is used to indicate the authority of Scripture — Which Catholics don't deny. The problem is the same as above: these verses attest to the purpose of the writing of the Gospel of John but do not limit the Word of God to Scripture alone. Of course we believe the Gospels were written for this purpose. However, there is nothing limiting or exclusive about it which points to Sola Scriptura. ﻿10﻿ The brothers immediately sent Paul and Silas to Beroea during the night. Upon arrival they went to the synagogue of the Jews. ﻿11﻿ These Jews were more fair-minded than those in Thessalonica, for they received the word with all willingness and examined the scriptures daily to determine whether these things were so. This is commonly cited to claim Scripture alone, but there is a problem. The Scriptures consulted were the Old Testament. So what we have is the Beroean Jews looking to the Scripture to see that the Word preached by Paul matched the prophecies of Scripture. At the time of Paul's preaching, there was no New Testament. So if Scripture alone binds, then Paul's teaching would not have been binding to the Beroeans because at this time his preaching was not considered Scripture (and to Jews today still is not considered Scripture). The understanding of these verses in context is an emphasis that the Beroean Jews differed from the Jews of Thessalonica. They gave Paul a fair hearing and investigated to see if what he said about Christ fit the prophecies of the Messiah, and did not immediately reject what Paul taught. This is an example of a verse which is taken out of context to make a claim which is not justified. ﻿17﻿ so that one who belongs to God may be competent, equipped for every good work. The problem we have is that such a verse works for rebuking Christians who deny that the Scriptures are relevant or inspired, but since Catholics believe Scripture is both inspired and relevant, the citation of this verse is irrelevant to the issue. Actually, using this verse to argue only Scripture is inspired is to create a logical non sequitur. Why? So it is correct to say these verses affirm Scripture as inspired, but it goes beyond what the verse says to claim only Scripture is inspired. The counterpart of the trying to affirm Scripture alone is the trying to deny that the Catholic belief in Sacred Tradition is compatible with Scripture. Verses are cited which seek to equate the Catholic concept of Sacred Tradition with the corrupt traditions of the Pharisees. So the initial problem here is even if the premise is true (which Catholics do not grant), it does not justify the alternative as being proven. Of course, even the claim that the premise is true is something which needs to be proven to begin with and not assumed to be true by default. So let's look at the commonly cited verses against Tradition and thus implying that the Catholic Church is doing what the Bible forbids. Jesus is not condemning all tradition, only corrupt tradition (That is, He is saying Some Tradition is corrupt Not All tradition is corrupt). Therefore the claim that this denunciation applies to Catholic Tradition is begging the question — and in an insulting manner at that. It needs to be proven (not assumed) that the Sacred Tradition of the Catholic Church is corrupt and manmade. ﻿8﻿ See to it that no one captivate you with an empty, seductive philosophy according to human tradition, according to the elemental powers of the world and not according to Christ. The assumption here is that All [tradition] is [empty seductive philosophy]. However, if we can come up with a counterexample which shows Some [Tradition] is not [empty seductive philosophy], we can show this assumption is false. ﻿15﻿ Therefore, brothers, stand firm and hold fast to the traditions that you were taught, either by an oral statement or by a letter of ours. The thing is, in Matthew 15:3-9, 2 Colossians 2:8 and in 2 Thessalonians 2:15, the word which Jesus speaks of in denouncing the Pharisees and the word Paul uses to urge them to hold fast is the same: παραδόσεις (Paradoseis), which refers to the passing on of doctrine, knowledge or tradition. Either Paul contradicts Jesus and Scripture is not Inerrant. Or what Paul praises and Jesus condemns are two different situations and Catholic Tradition is not automatically condemned by Christ on grounds of being "Tradition." So we can see Catholics are not unreasonable or against the Bible because they reject the notion of Sola Scriptura: This doctrine contradicts itself by depending on an interpretation not found in the Bible to justify a claim that only that which is within the Bible is binding. Since the belief of Sola Scriptura is not within Scripture, it cannot bind. Since Catholics do not believe Sola Scriptura is found in Scripture but rather it depends on either an interpretation of what Scripture means (which depends on something outside of Scripture, or else depends on an authority), we do have the right to question the authority of the claim of Sola Scriptura as a binding doctrine. This is where the quote of Aristotle on Non Contradiction at the beginning of the article becomes relevant. If a thing cannot both be and not be at the same time, then the understanding of Scripture cannot depend on binding external interpretation of the Bible to refuse to accept binding external interpretation of the Bible.